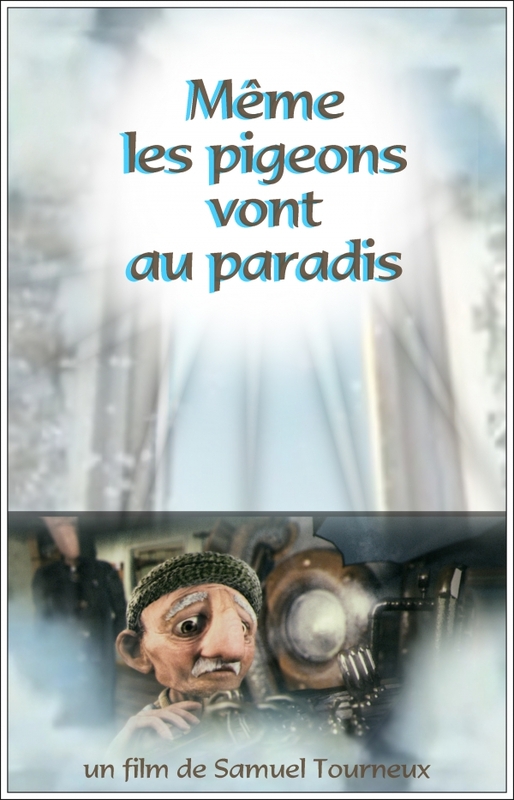 Nominated for Best Animated Short in 2008 (alongside the excellent Madame Tutli-Putli, though the winner was Peter & The Wolf), Even Pigeons Go To Heaven is a computer animated comedy that delivers the laughs (during the demonstration of the XV-750, Mister Moulin fully believes he’s visiting the Stairway to Heaven, though some quick shots of what the Priest is doing outside the ship reveal that it’s all a hoax). In addition, there’s a clever twist at the end that, along with explaining things a bit better (answering the question: where did the radio signal the Priest intercepted originate from? ), delivers a satisfying conclusion. Delving into it further may reveal a message or two, including how organized religion has made a practice of exploiting people’s fears in order to make a profit, though, ultimately, I think the creative minds behind Even Pigeons Go To Heaven had but a single goal: to put a smile on our faces. And on that level, it’s a rousing success.